Edit 1/17: Hello, hello! Here's some news. Brit and Co pulled all of their DIY kits and have moved in a different direction with their business model. This kit is no longer available but you can find many of the supplies for purchase separately online. I'll try to answer as many questions as possible regarding procurement. Edible gold leaf: you can find it for purchase here. It's a bit pricey but a little goes a long way. Sea Sponges: for purchase here. Wilton Neon Gel Food Color Set: for purchase here, the same set of colors were included in the kit. Clear vanilla extract and fine-tipped paint brushes: found for purchase at most craft stores. One of my favorite trends in the confection world right now is the beautiful aesthetic of watercolor and gold leaf together. Watercolor technique has been popping up all over the web on all kinds of sweets: cupcakes, cookies, celebration cakes, wedding cakes - you name it! 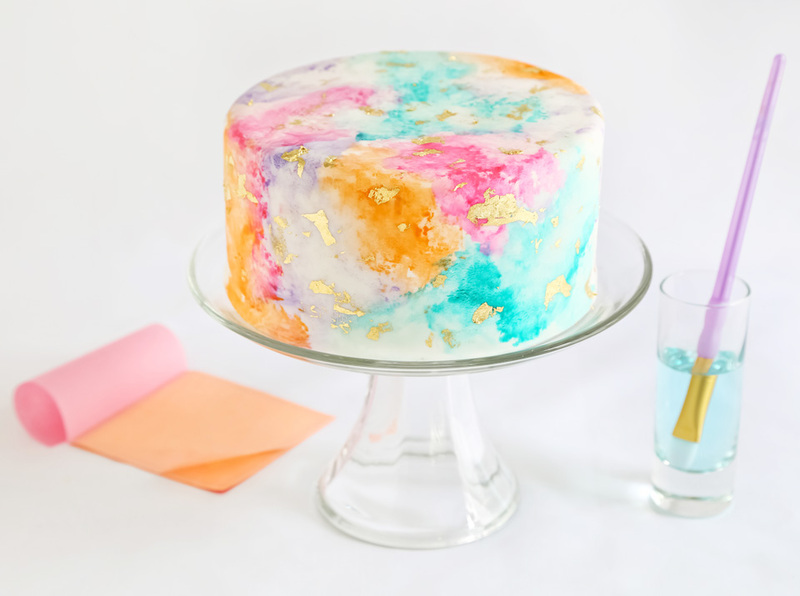 You may even remember the watercolor cake I decorated earlier this year (if you haven't picked up Sweetapolita's Bakebook yet, you definitely should!). 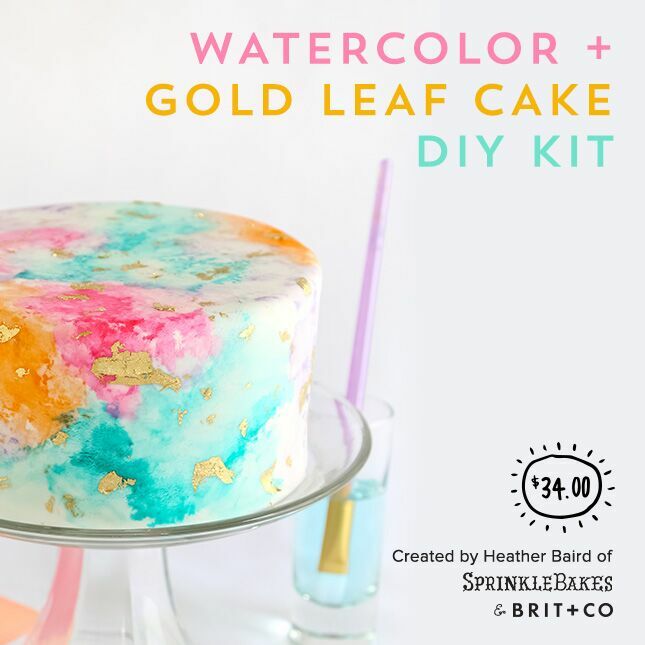 Brit and Co. asked if I'd help them put together a Watercolor Gold Leaf Cake Kit. This kit has all the tools you need to create a beautiful watercolor cake of your own - but no need to stop at cakes! You can use it on all kinds of different sweets. I love that the kit comes with everything you need - food colors, brushes, extracts, and especially gold leaf, which can be hard to find and rather expensive at specialty shops. The best thing? You can re-use all the supplies over and over again! October is in full effect here with falling leaves, overcast skies, and chilly weather countered by many cups of hot tea brewed with my electric teakettle. This atmosphere makes me long to bake bread, but alas, I have no kitchen. Temporarily. But seriously - take a look. I'm going through baking withdrawals already. 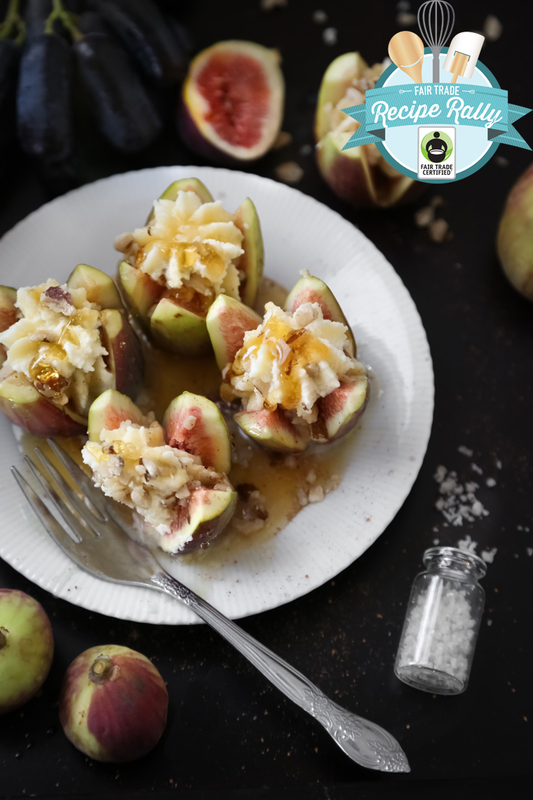 However, there are a few sweet bites to be made and enjoyed without the virtue of an oven, like these Mascarpone Stuffed figs I've made for Fair Trade Month. Yes! 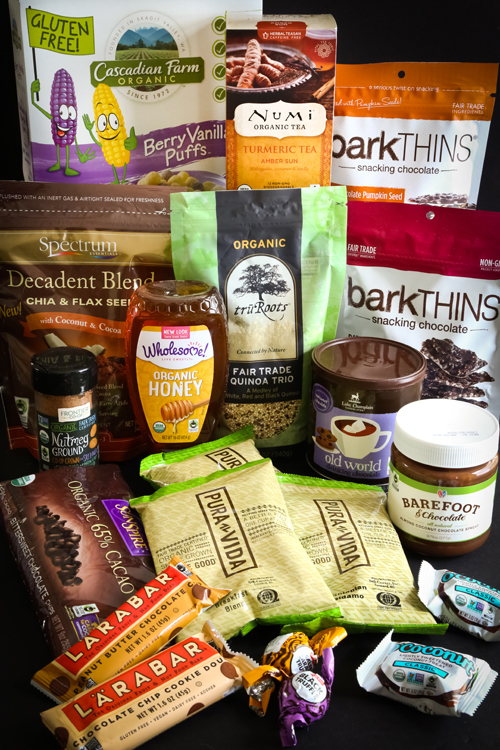 It's Fair Trade Month, which means I've got a box full of Fair Trade goodies to give away to one lucky reader! If you've been reading this blog for very long, then you know each year I love to promote this worthwhile cause (see previous entries here, here, here and here). In a nutshell, buying Fair Trade means Buying Fair Trade means you’re getting quality products and the people who grow, sew and craft them get a fair deal for their hard work. In fact, your everyday purchases can help farmers and factory workers in 70 countries work in safe conditions, earn extra money to invest in their communities and improve the lives of their families. chocolate spread... this year's box may be the best yet! To enter, just leave a comment at the bottom of this blog post with what you'd love to make with these Fair Trade goodies.